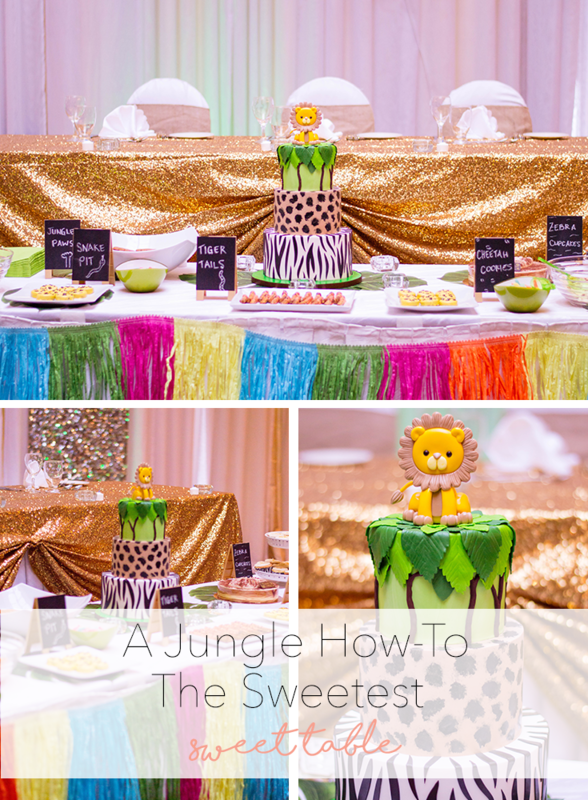 In the jungle, the mighty jungle… the lion eats lots of cake. 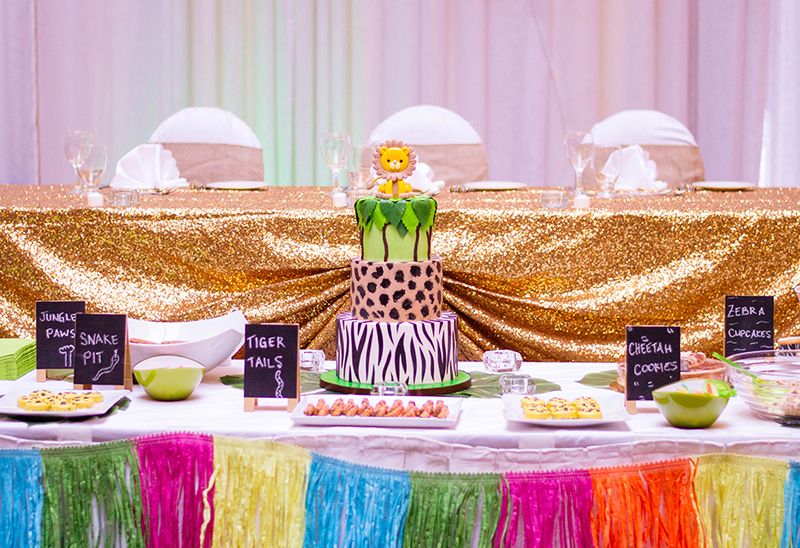 A huge thank you to Party Expert for partnering up and making this sweet table a success. I received some products to review and all opinions are 100% my own. Party on! We recently celebrated Leo’s first birthday and well, I kind of went all out for his sweet table. My sweet tooth is out of this world, so I figured: why not treat our guests to some of the snacks that I love? First and foremost, you’ll want a long table to create a buffet-style ambiance. Let guests know they can help themselves. I added scoops to all of the snack bowls so that everyone could easily place the goodies on their plate. Leo’s party was jungle-themed, so I opted for this multi-colored-grass tableskirt. It helped bring the overall look together. At first, I was a little intimated with how large it was. In the end, it was so easy to install. It held up throughout the entire night (despite seventy hungry guests). I asked myself: how could I make this theme really stand out? 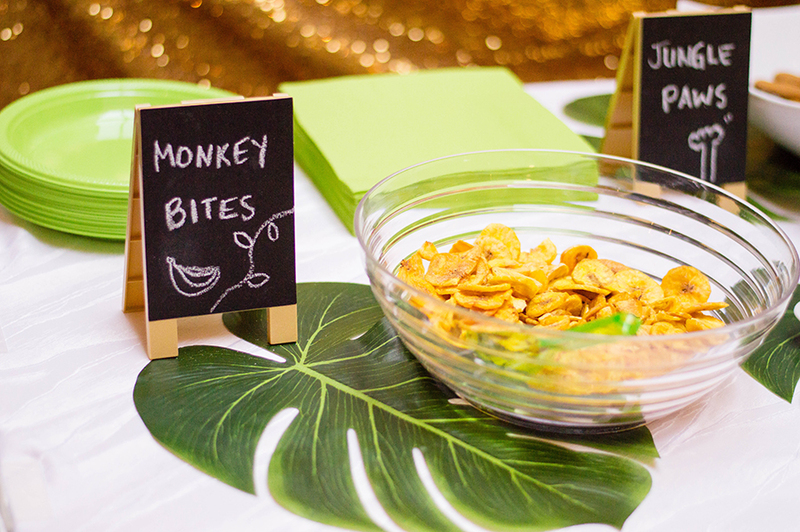 I decided to add some “fitting titles” for some of our snack offerings: jungle paws, monkey bites, and snake pits took over our table! 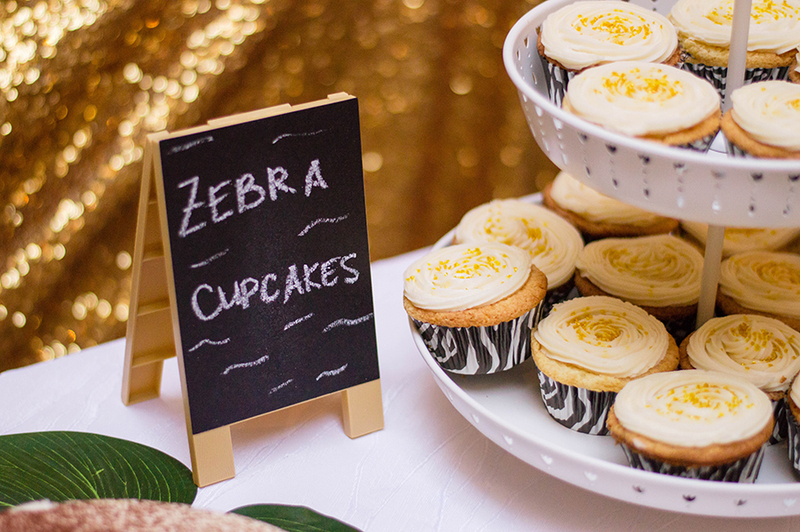 I used these ultra-cute chalkboard stands to label everything. Our guests absolutely adored this detail. It was fun to see them giggle at the snacks’ names and again, it helped tie everything together. Whether you opt for confetti, jewels, or a fitting tablecloth, table accessories are an absolute must. I decided to go for these jungle leaves. I scattered a few across the table and it really tied-in with our theme. I even had enough to add onto my dining tables, surrounding our centrepieces. Absolute success. A well-thought colour palette can elevate any party. I tried to go for as many green elements as possible (including our table runners and LED lighting). For the sweet table, I added a touch of brightness with these plates and napkins. It’s all about symmetry. I made sure to balance our look with similar bowls and serving platters on each side of our sweet table. For the centrepiece, we had a beauty-of-a-cake made by Cakes by Kirsten. Have you ever thrown a large party? Ever put together a sweet table? Tell me about it! Let’s chat in the comments below. 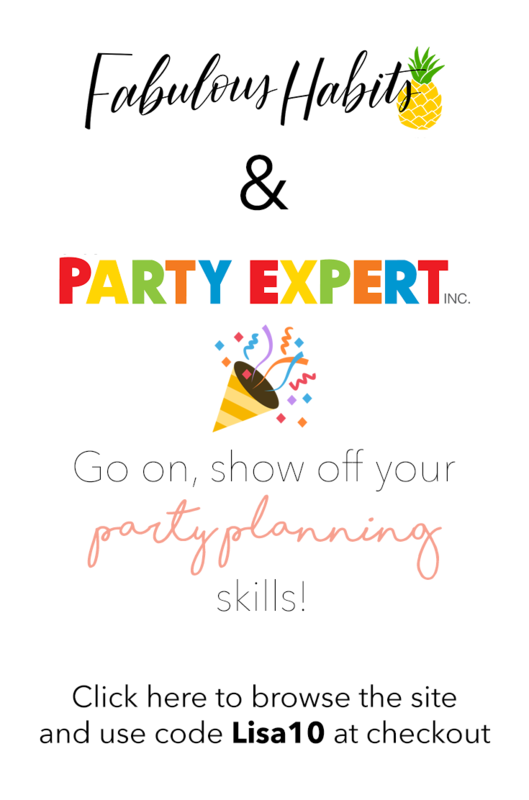 Also, hurry over to Party Expert now because all Fabulous Habits readers (yeah, you!) 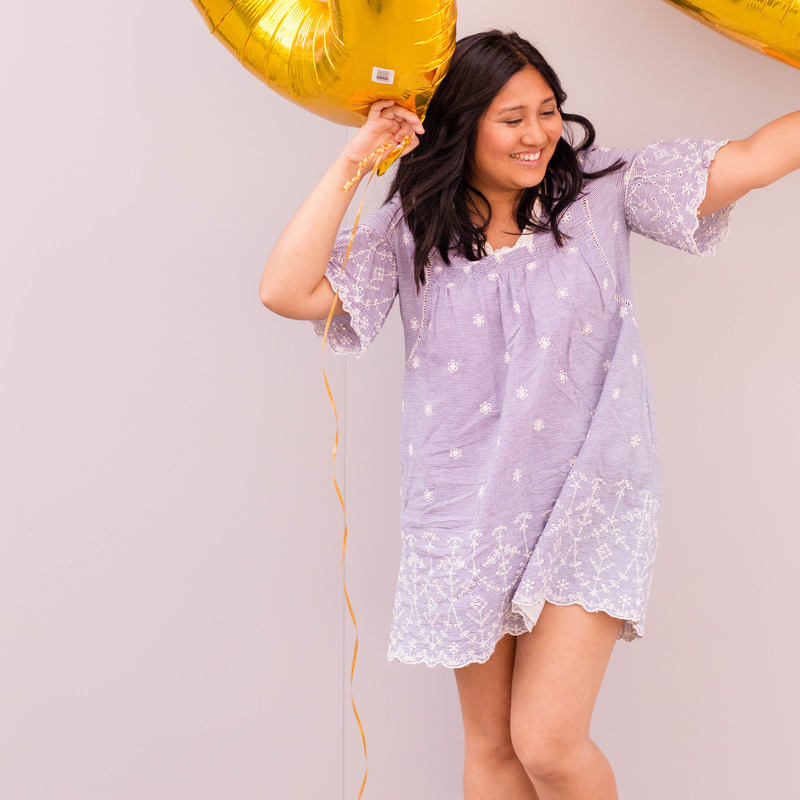 get 10% off with code: Lisa10 – run!! There’s a party waiting to be put together and it has your name all over it! This is a party that the kids will talk about for years. 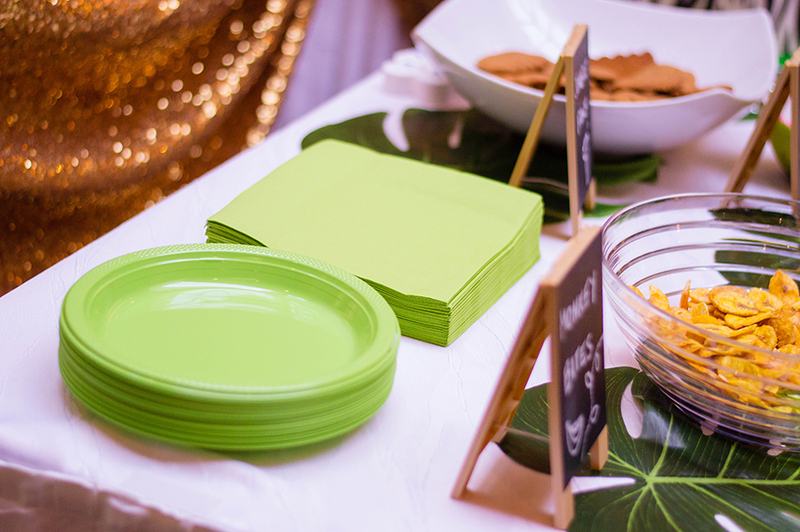 From the cake to the snacks to the color coordinated plates, it’s just awesome. Oh My Goodness!!! This is GORGEOUS! I love the theme and the cakes look fantastic! You rocked it mom! That is an amazing sweets table! I love how you incorporated the theme into the names of the food!! My favourite part is that colourful table skirt! Its beautiful! Wow, what a set-up! 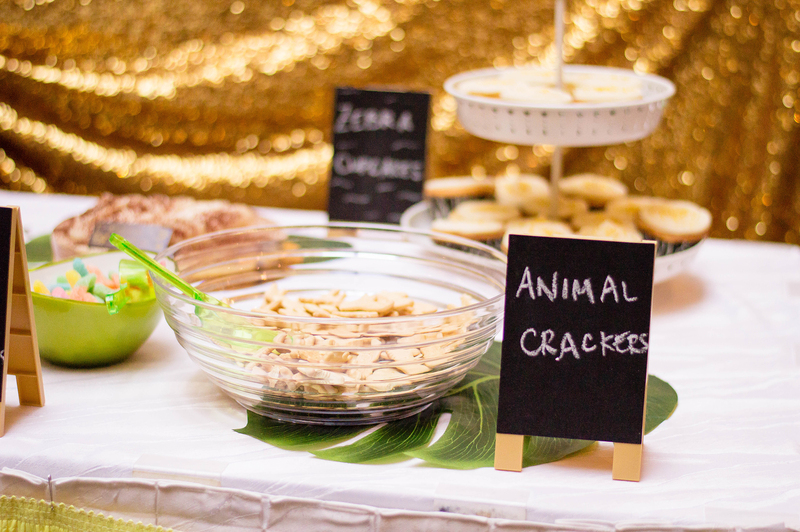 Your decor fits together perfectly but my favorite part is the adorable snack names you came up with. 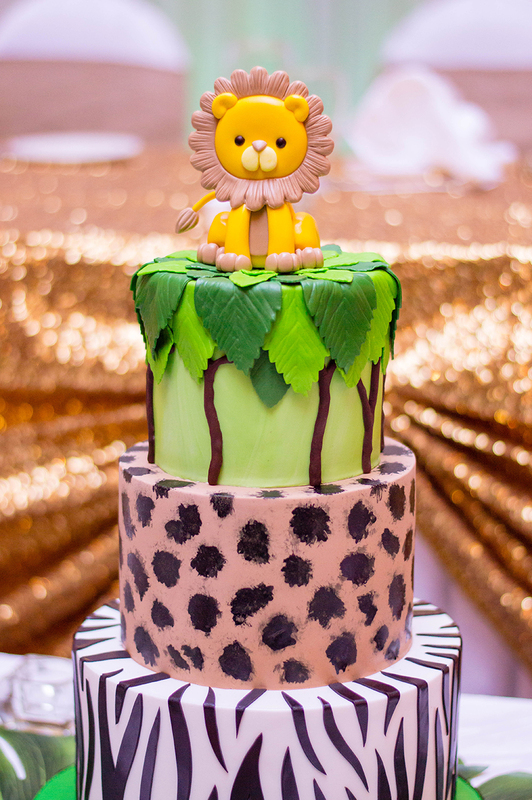 That lion cake is absolutely adorable! I love the leaves at the top!! Oh wow, that as the cutest cake I’ve ever seen. It gives me an idea for my daughter’s upcoming birthday. She will love this for sure. I need someone to have a baby so I can throw this exact party. The cake is perfection as are the rest of the details from the celebration. That cake is just plain amazing! WOW. What a cool theme this is. I love how the cake pops but is still simple and elegant- this is definitely a party I’d want to throw for my toddler. 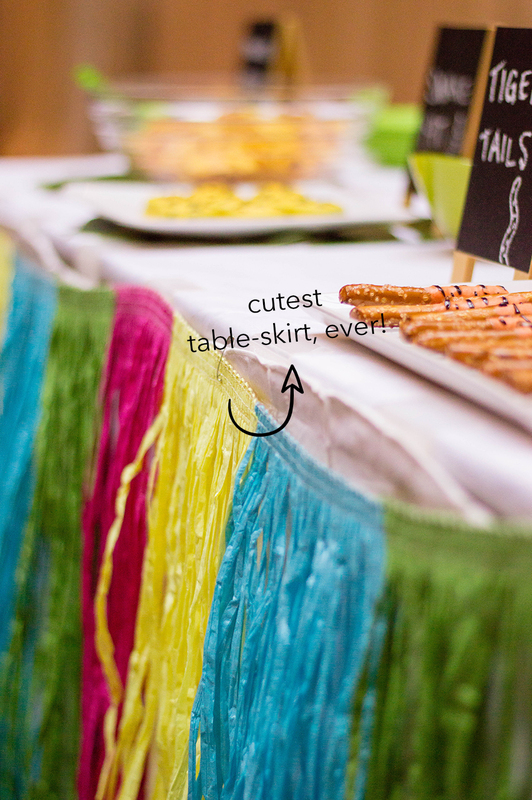 And that table skirt is super cute! You did amazing with this theme. I really like the names you gave all of the snacks and treats! These are some amazing decorations! You nailed it! That looks so cute! I love the lion theme. Planning my kids’ parties looks something like this. A fun theme with themed food. WOW! What a fabulous party set up. 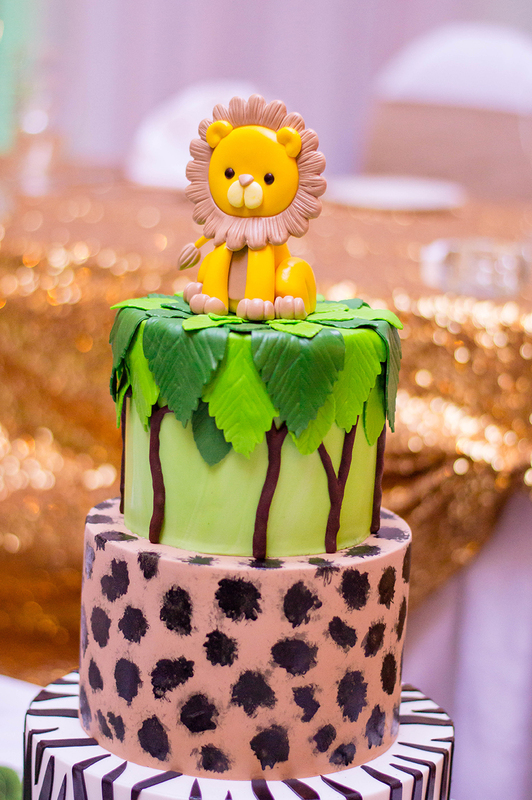 The Lion cake is AMAZING! I love how you pulled each food thing into the theme. I love this theme. That cake is so amazing too. It turned out really good. What a fun theme for a child. Oh my goodness! The cutest most delicious party I have ever seen! I absolutely love the jungle theme. And that cake! This is SO cute! I love the cake! Too bad I didn’t have a baby shower to plan, this would be perfect! These are so cute!! What a great idea for themed parties! You really put together an adorable theme. I love all the little touches like how you named the foods and the colors of the table skirt. The theme was really well thought out! This is such a cute post! I love the idea of themed parties like this. The cake is ADORABLE.